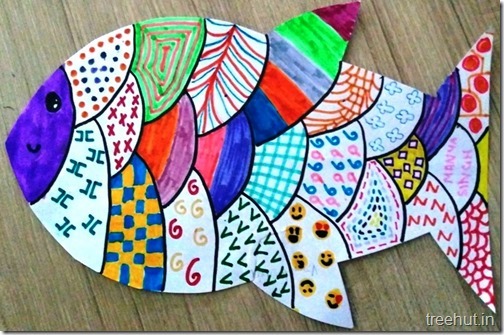 Colourful Child Art, Pattern Art by students of Grade 4 at La Martiniere Girls’ College, Lucknow, India. ~ Swati Sharma Indian Independence Day craft for kids. Paint smudging background and paper cutting fishes. 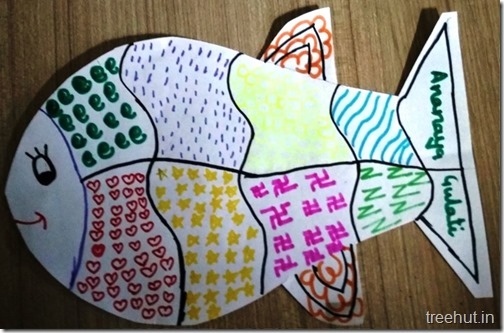 ~ Swati Sharma To make these paper folding fishes, cut a circle and fold it in quarter. Use a smaller circle for the tail fin.